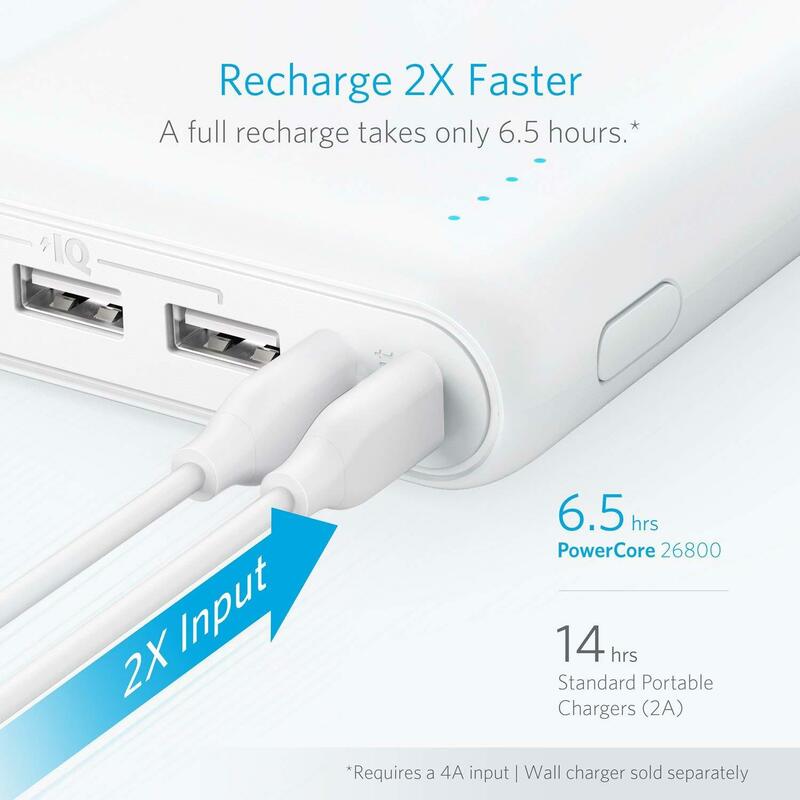 Hello--I have the Anker PowerCore 26800, Model A1277. I have a question about the dual input ports. 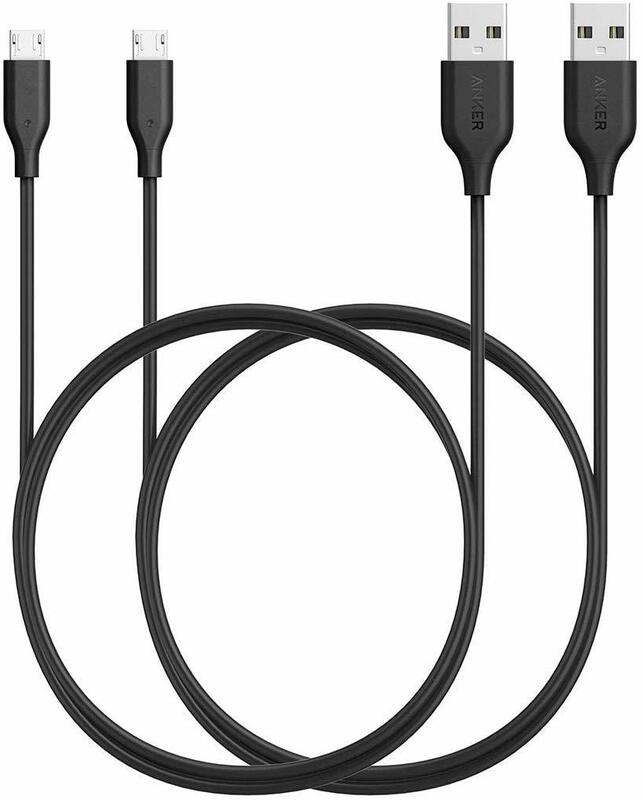 Do I need to use 2 micro usb cables plugging 1 each into 2 entirely separate wall chargers or can I plug the 2 cables into a multi-port wall charger? You can plug them into the same charger, no problem. Just make sure both chargers can output 2 amps (iPad charger; any Anker charger) to get the best charging speed. As long as your multi-port charger or chargers outputs 2amps per port you will get the fastest possible charge assuming your cables are not damaged. got it! Can you give any tips/recommendations on what to look for in good quality cables? I can't risk any cable failures as I'll be using the power bank on a long backpack trip. Cables are the most common failure point. In the future picking up a USB multimeter would be a good way to determine if your cables are still working 100%. You don’t need to. 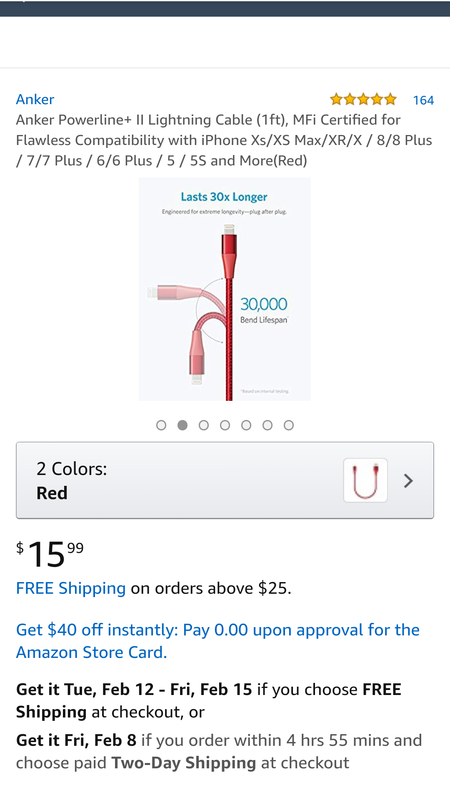 But it will charge faster if you plug in two. 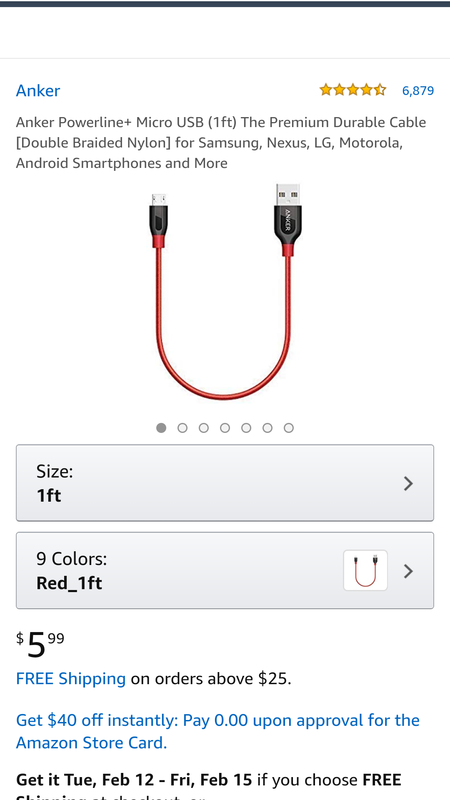 Are you aware of any good quality 1 foot "short" micro usb and lightning cables out there? 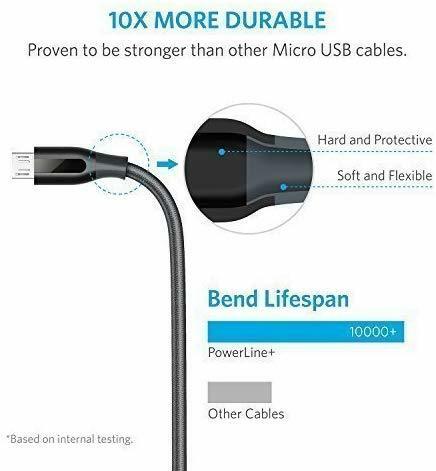 Ankers top of the line 1 foot lightning cable with lifetime warranty.